Bees typically pollinate flowers during the day. Rubiaceae, or gardenias, often rely on nocturnal moths to pollinate their sweetly scented white flowers. Each type of gardenia features variations on flower size and shape, which in turn attract a variety of different pollinating insects. While the South African Gardenia thunbergia bloom develops eight or nine of the lustrous, white petals gardenias are known for, these petals grow from a slender floral tube that stretches up to 5 inches long. Only the nocturnal hawk moth from the family Sphingidae, known colloquially as the sphinx moth, possesses a long enough tongue to reach the nectar of this type of gardenia. 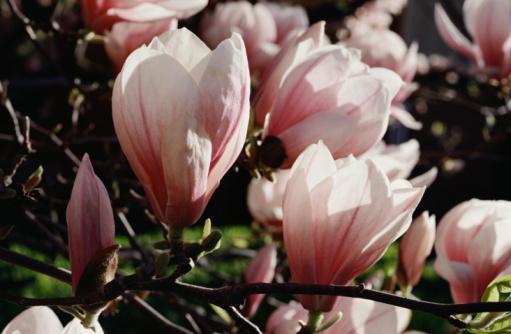 The Rothmannia globosa, or bell gardenia, attracts carpenter bees to its bell-shaped, creamy-white flowers. This small tree grows in South Africa and Swaziland. 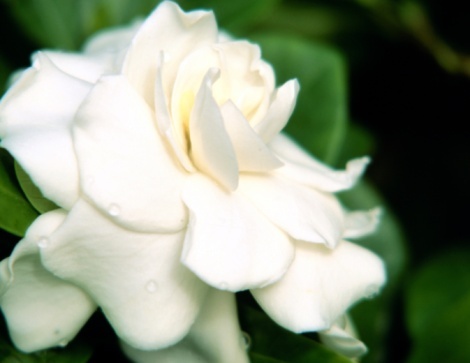 Gardenias commonly grown by American gardeners include the lemon, native, and scented gardenia. The white flowers on these shrubs attract diurnal moths, such as the gardenia bee hawk moth, that resemble large bumblebees. Jessica Alzarana has a Bachelor of Music in music composition from the University of North Texas and is currently pursuing a graduate degree in music therapy from Texas Woman's University. Alzarana essays have been published by UNICEF State of the World Children's Report & BootsNAll. Are Gardenias Annuals or Perennials? How Often Do Yucca Plants Bloom?